SURFACE COATING PRODUCTS - HARTECH PTY.LTD. Hartech Pty Ltd stock and supply a vast range of premium quality surface coating products. We source from leading suppliers spread across Australia. 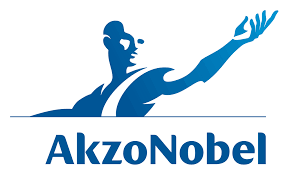 AkzoNobel is one of the world’s leading suppliers of speciality chemicals, paints and protective coatings. AkzoNobel’s International brand of protective coatings are used in a range of industries – from mining and oil & gas, to buildings and thermal power, to transportation, water and waste. International® coatings are corrosion proof and fire proof, besides adding an aesthetic appeal to the surface they are applied to. The company’s consistent focus on R&D enables them to sustain continuous improvement while delivering product innovation and exceptional customer service. Canusa-CPS is a protective coating provided by the Shawcor Company. This range of coatings is designed for use on high-quality surfaces aimed at withstanding even the harshest of environments. The Canusa-CPS protective coatings offer resistance against corrosion, extreme cold or hot temperatures as well as any mechanical damage to the surface. Suitable for multiple uses, these coatings can be applied extensively in oil and gas industry, besides in water pipelines, as well as heating appliances. The Canusa-CPS coatings are also regularly used for industrial infrastructure and support. Denso (Australia) Pty Ltd have been providing corrosion prevention and sealing products for more than 80 years. The Denso range of products includes pipe and structural coatings to suit a variety of purposes. They also supply protective coatings for marine protection as well as tanks. The Denso products come in various forms ranging from liquid coatings to primers to tapes and sealants. These protective coatings are ideal for high corrosive environments with temperatures between sub-zero to 250ºC. Part of Jotun Group comprising of 63 companies, Jotun Paints are leading suppliers of paints and powder coatings. Their protective powder coatings are designed for use in unique environmental and surface conditions. Jotun products are used extensively by offshore, energy, processing and infrastructure industries.